Free EarthFest Concert at the Hatch Shell This Spring! 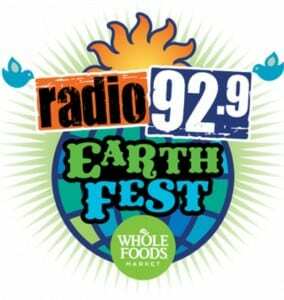 Save the Date for Radio 92.9’s Annual Free EarthFest Concert at the DCR Hatch Shell in Boston on Saturday, May 21, 2016 from 10am to 5pm! The FREE Concert in Boston is presented by Whole Foods Market and will feature The Strumbellas, Joywave and Fitz and the Tantrums. More information will be posted in upcoming weeks about the free concert, but mark your calendars now! For more information about EarthFest 2016 in Boston, please head here. Will you be attending this free concert in Boston? Have you been to EarthFest before?